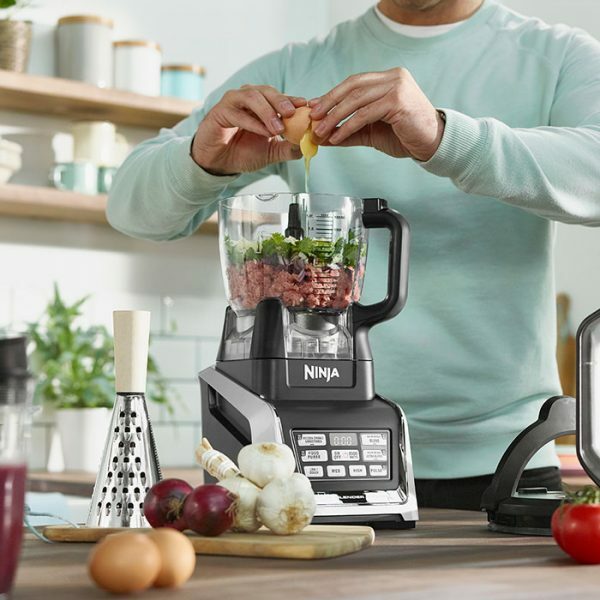 A precision food processor, a high-performance blender and it doesn’t stop there – this complete kitchen system also includes an integrated Nutri Ninja® personal blender. That’s amazing value with three quality appliances in one. Get creative with the Inspiration Guide, full of quick and easy meal ideas and tasty recipes. 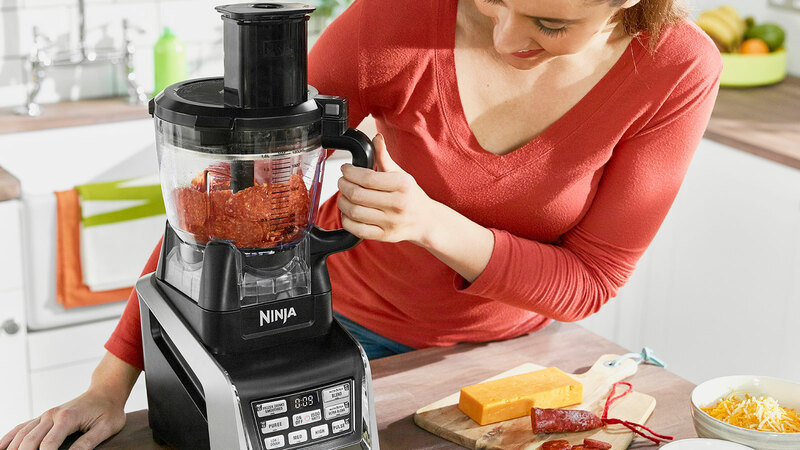 Ninja Complete Food Processor with Auto-iQ and Nutri Ninja 1500W – BL682UK2 has been added to your basket! 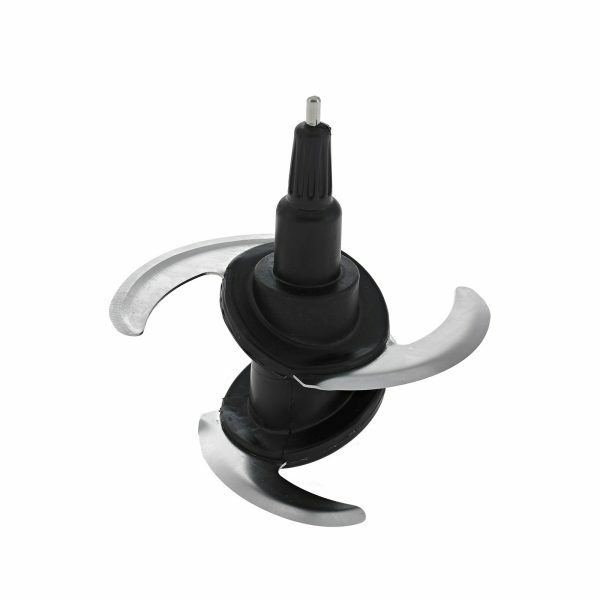 1500 watts of power drive the specially designed blades to rotate between 850 and 20,000 RPM, depending on the function you are using. Blend and process with absolute control for consistently great results. Exclusive to Ninja, simply press one button and let Auto-iQ’s pre-set programmes do the work for you. Unique pulse, pause and blend patterns are tailored to deliver the best results for the attachment and ingredients, taking all of the guesswork out of food and drink preparation. 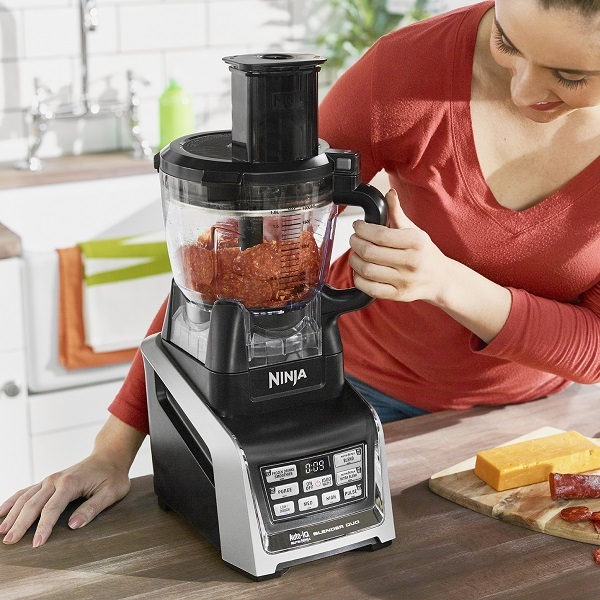 This kitchen system is a precision food processor, high performance blender and integrated Nutri Ninja personal blender in one space-saving appliance. Slice, shred, chop, grate, knead, mix and blend. 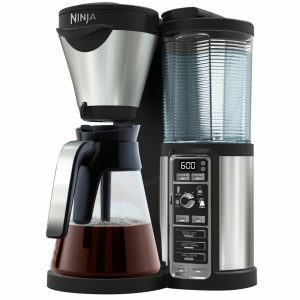 This Ninja does it all, from sauces to soups, dips to doughs, veg prep to pancakes, drinks to desserts, breads to batters, cocktails to cookies, pesto to pizza. Get more out of your kitchen. This all-in-one system has eight different speeds and settings including five Auto-iQ® programmes. Auto-iQ Technology saves you time and effort with its One Touch Intelligence programmes. 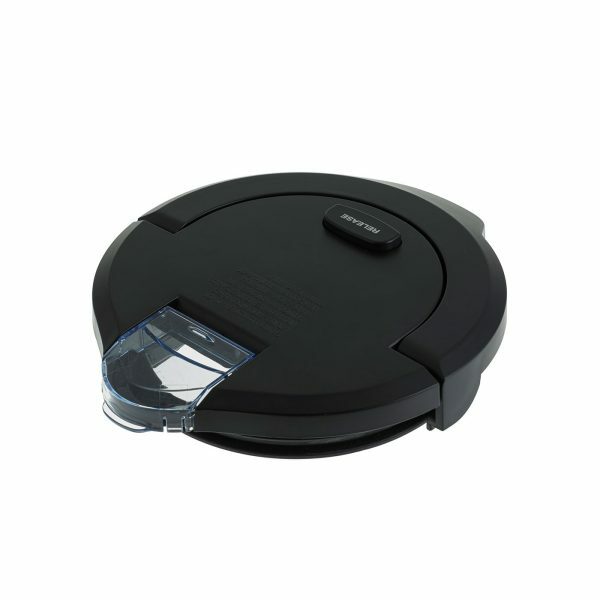 As smart as the name suggests, simply press one button and it does all of the work for you. Delivering unique pulse, pause and blend patterns suited to the food, drink or snack you are creating, bringing precision and control with no fear of over-processing your ingredients. 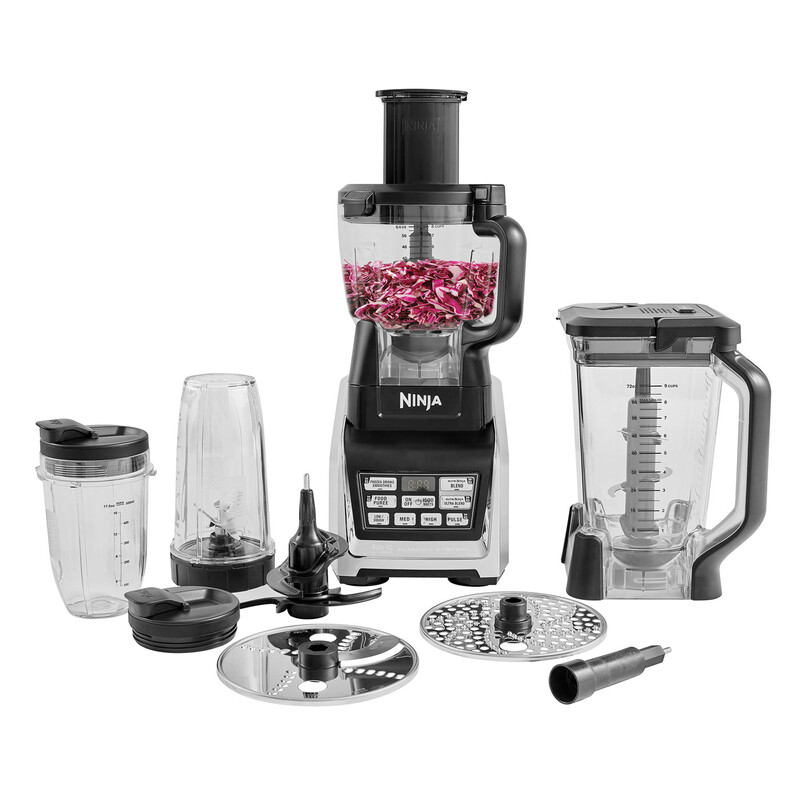 The precision food processor comes complete with slicing and shredding discs, chopping, grating and slicing ingredients quickly and evenly. No more mush, just delicious dips, sauces and complete meals including burger patties, salmon fishcakes and meatballs. 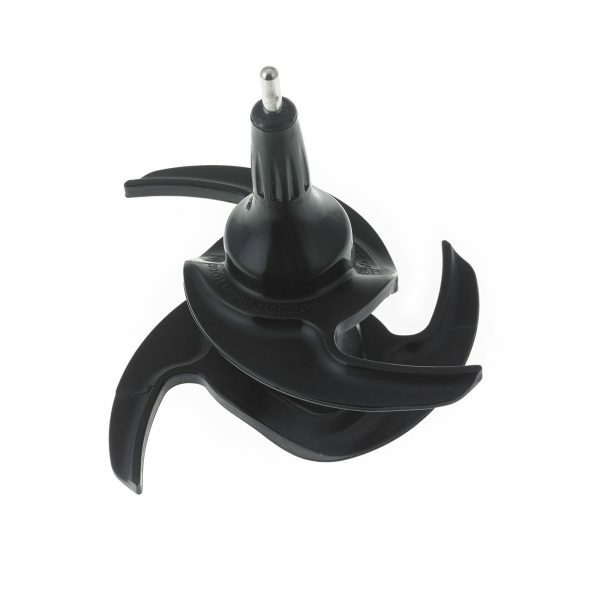 Making doughs, cake and cookie mixture is a piece of cake with the handy interchangeable dough blade. Need to blend? 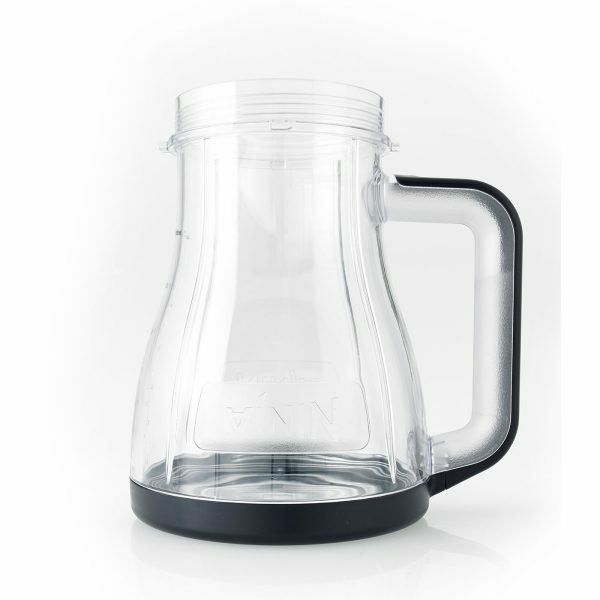 Instantly convert from food processor to blender with the 2.1 litre blending jug. 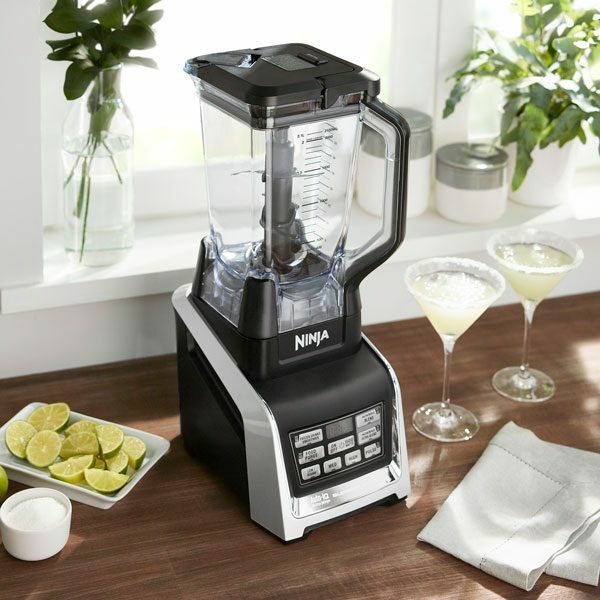 The winning combination of Total Crushing Blades and an impressive 1500-watt motor means you can quickly prepare hearty healthy soups, delectable desserts, frozen drinks, cocktails and so much more. 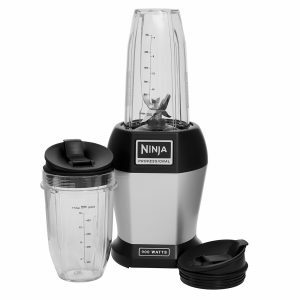 For single servings, turn to the Nutri Ninja personal drink and smoothie maker. 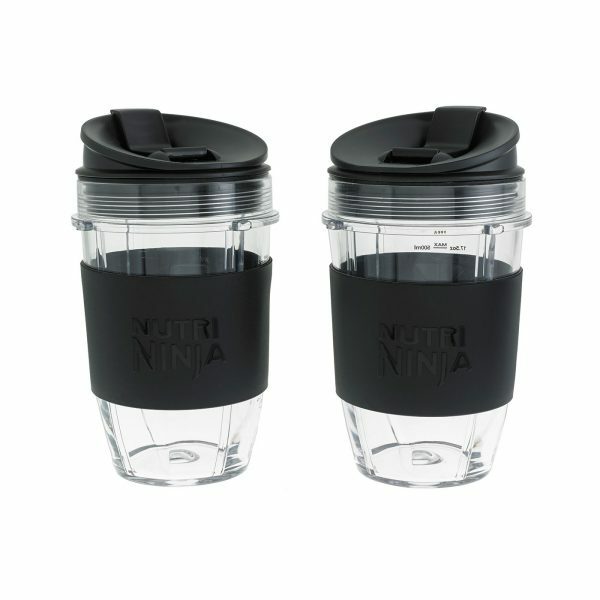 Just add your favourite fruits and vegetables, nuts, seeds and even ice to the Ninja cup. 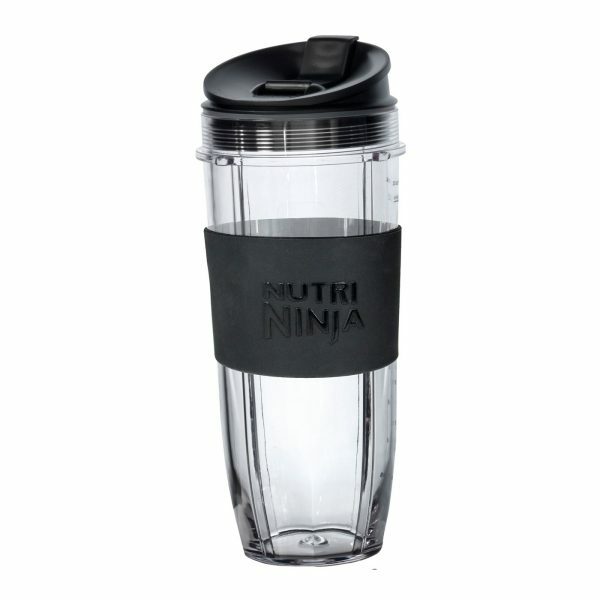 Select a programme and watch the patented Pro-Extractor Blades breeze through the ingredients to create super smooth, great-tasting nutrient and vitamin-rich drinks and smoothies in seconds, perfect for drinking on the go. 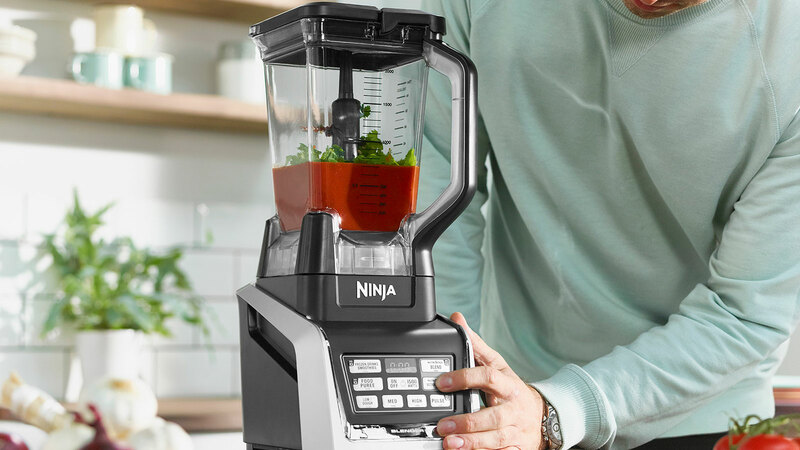 Whether you’re chopping, blending, mixing, processing or creating deliciously chilled smoothies and drinks, this Ninja kitchen system does it all. It’s the only all-in-one appliance you’ll ever need. Don’t just take our word for it, read our amazing reviews below. My blender turns on, but why doesn’t the blade rotate? It is possible that you have overfilled your vessel, carefully remove some ingredients and try again. “The pitcher is not properly assembled. 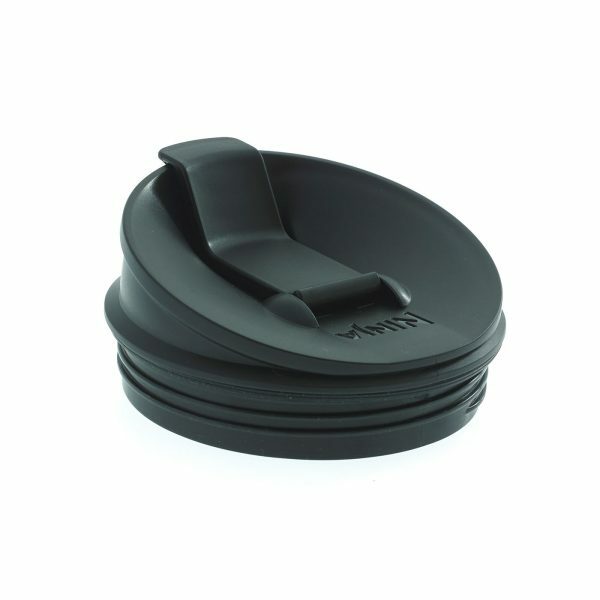 Make sure the pitcher lid is assembled properly, aligning the arrow on the lid with the arrow on the handle. Press down firmly on the handle until you hear a slight click to ensure it is fully engaged. 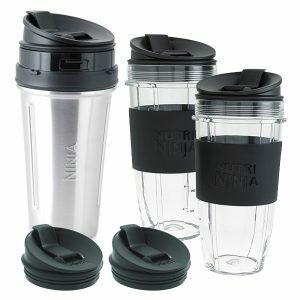 The Nutri Ninja® | Ninja® Blender System will not run if the lid is not assembled correctly and the handle is not fully engaged. “Be sure your blender is assembled correctly and plugged in. The handle should be facing the front left or front right corner of the blender base. If the power light is solid, you have assembled the blender correctly. Why does the timer count up when using Low, Medium or High? 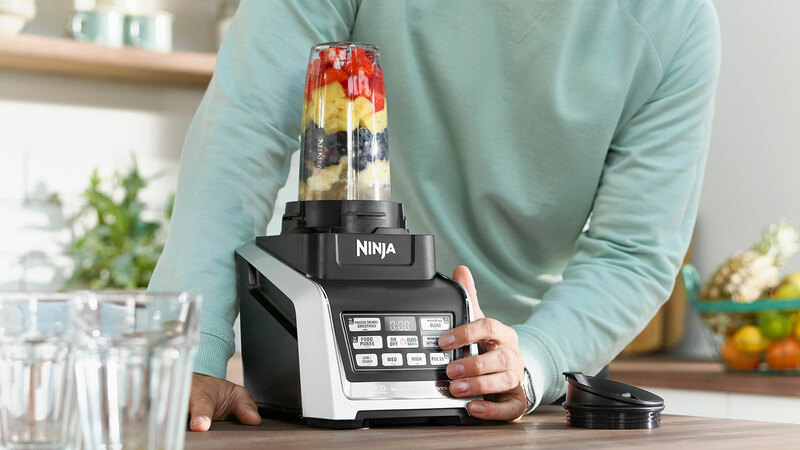 Why do only certain buttons light up when I put the Blender or Nutri Ninja® Cup on the base? Each program has been designed specifically for the jar attached to the base. Certain programs will only work when certain jars are attached. If the program light does not illuminate when the jar is attached, that program will not run and you will get an “ERR” message on the display. Why do I get an “ERR” message on the display? The speed setting that should be used varies depending on the function and recipe being made. 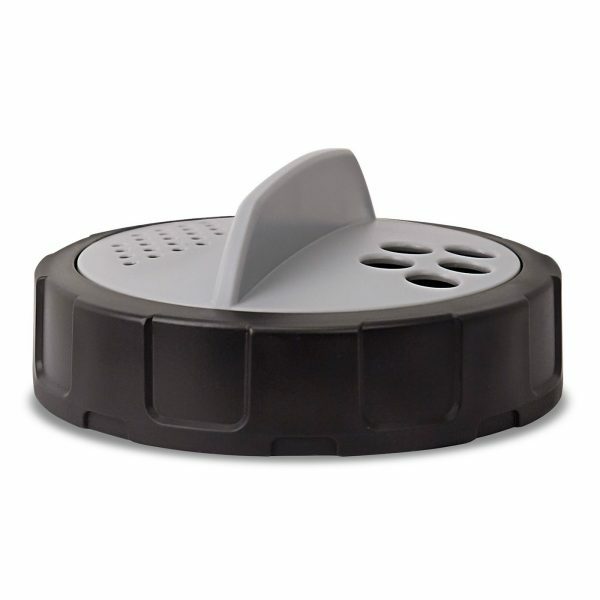 The Auto-iQ® programs have been designed specifically for each jar attachment and the function listed on the button. If you prefer to control the process, the three manual settings (low, medium, and high) can also be used. Please refer to the speed and usage chart in your Let’s Get Started Guide for recommended uses and settings. 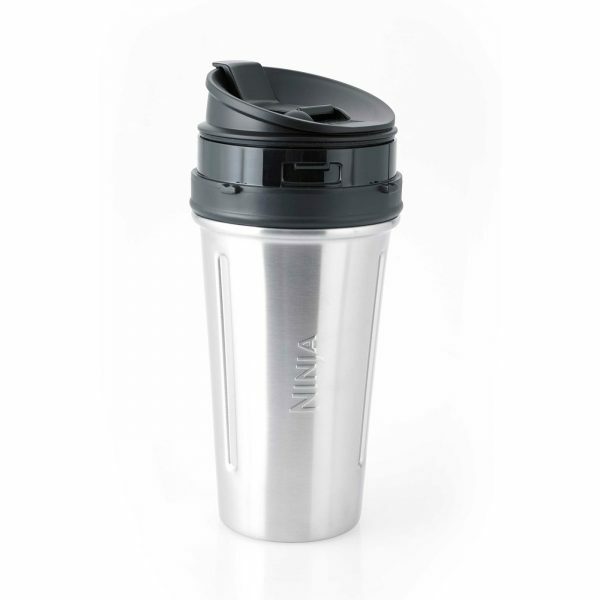 Which buttons work when the Nutri Ninja® Cup is attached to the base? 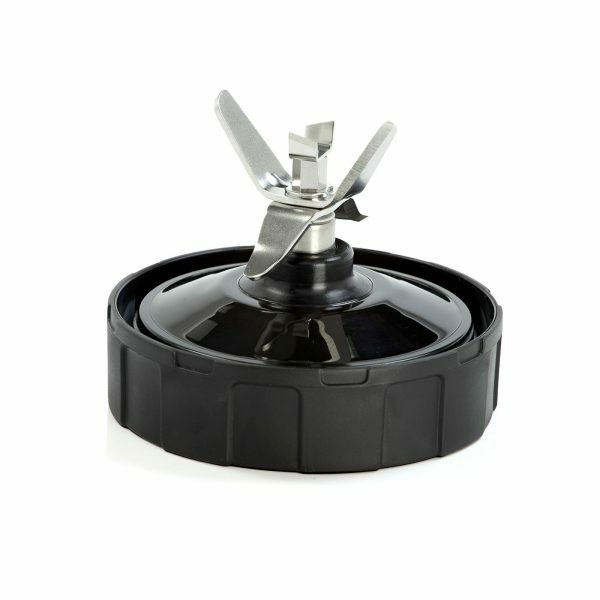 Which buttons work when the Blender Pitcher is attached to the base? 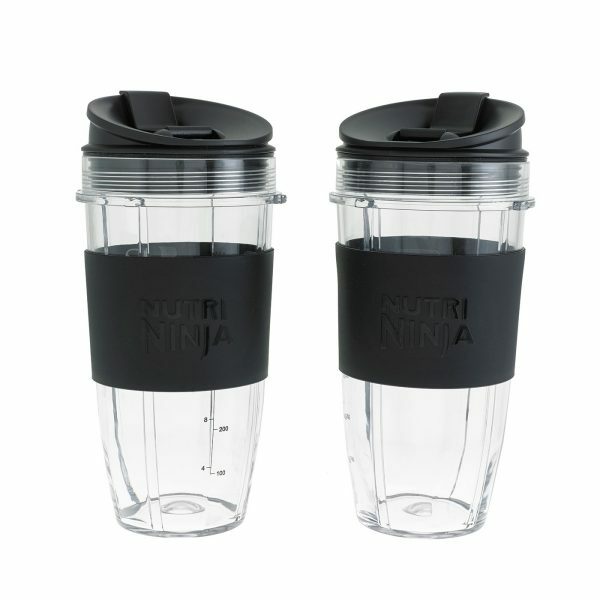 What are the Nutri Ninja® Cups made of? Can you blend frozen fruit? 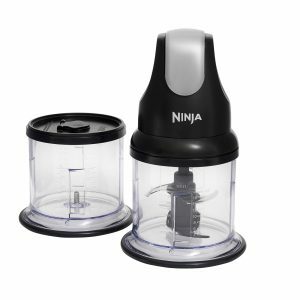 Yes, the Ninja® blades help break down frozen ingredients in seconds. For best results, use one of the Auto-iQ® programs. 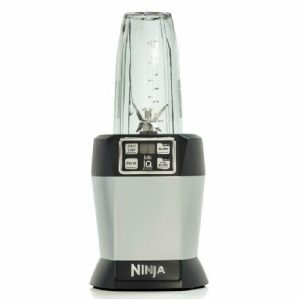 “Yes, Ninja® Auto-iQ® Technology combined with the blender’s Total Crushing® Blades pulverize ice to snow in seconds for creamy frozen drinks and smoothies. Yes, All attachments are made with BPA free plastic. Yes, You can chops nuts. We recommend using the Pitcher with the Auto-IQ Pulse program. 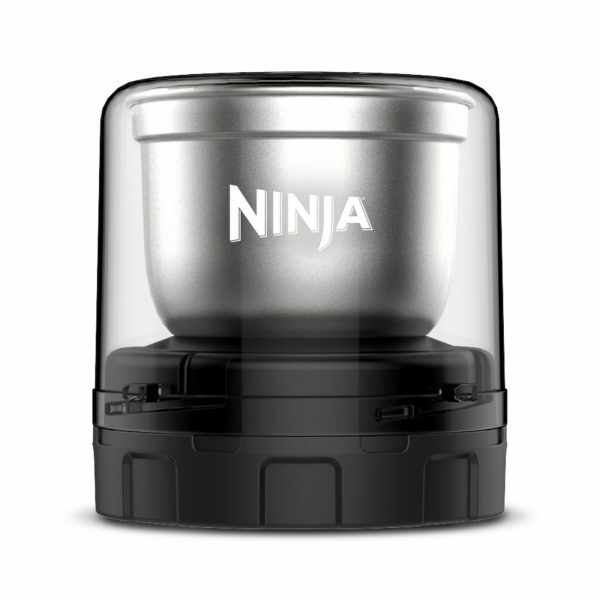 Can I make hot soup in my Ninja? 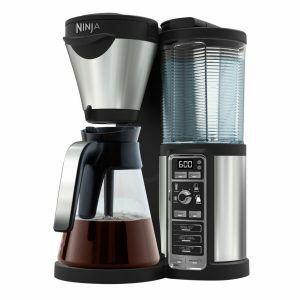 No, the Ninja Blender Duo is not made for use with hot liquids or ingredients. 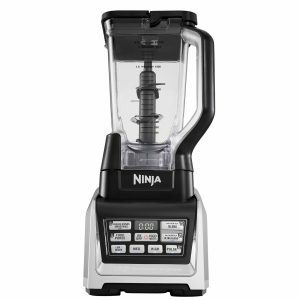 The Ninja Blender Duo is equipped with a 1500 watt motor. 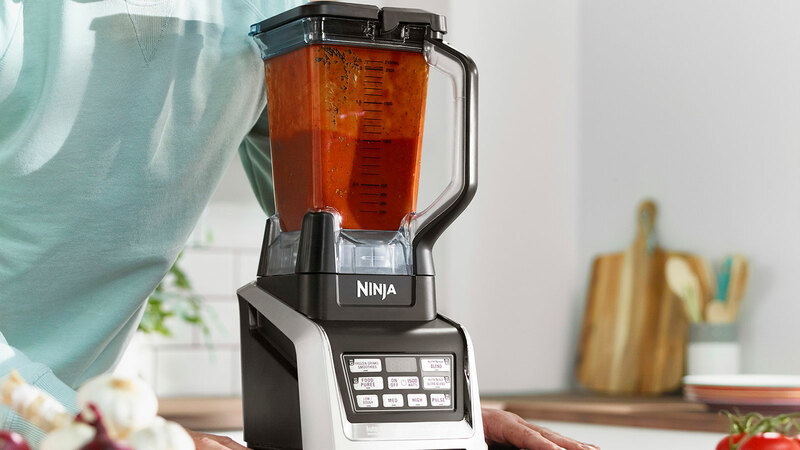 What kind of blades does the Nutri Ninja® have? 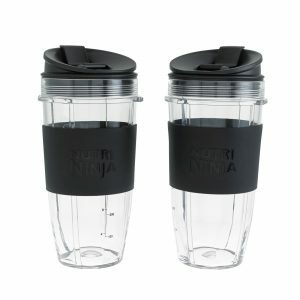 The Nutri Ninja Personal blender blades are made of stainless Steel . What is the blender pitcher made of? 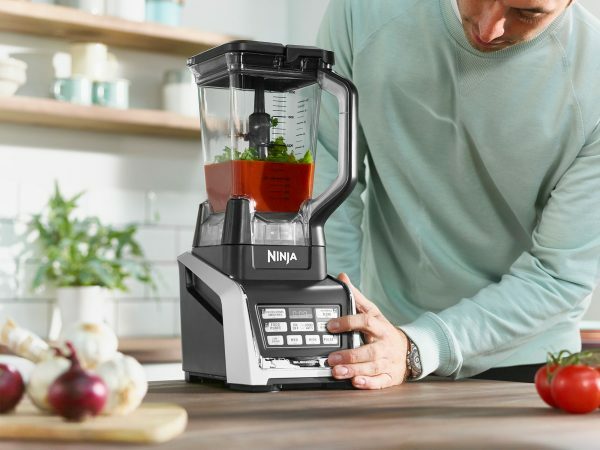 Ninja Complete Food Processor with Auto-iQ and Nutri Ninja 1500W – BL682UK2 is rated 4.9 out of 5 by 92. 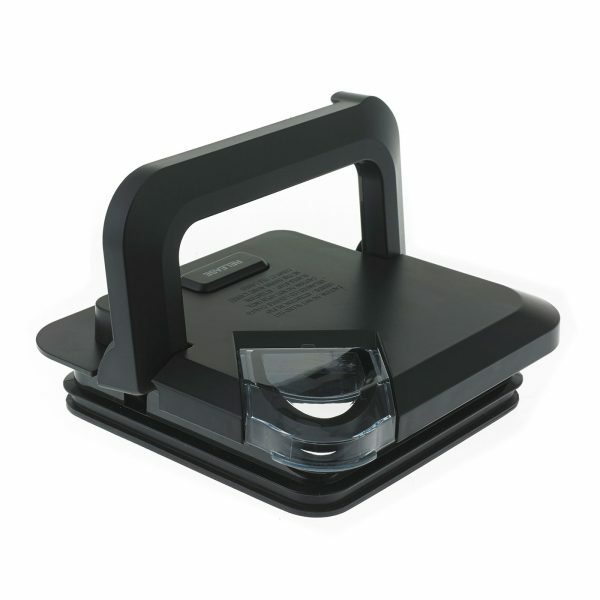 Rated 5 out of 5 by mattr00171 from perfect I have had many different food processors, of different types inc Magimix, Kenwood, and others, this unit without doubt is powerful enough to deal with anything, well built, and strong, however i had one small problem of a crack in a lid which on calling customer services was sorted out immediately part is on way as i type, so as for after sales service can NOT be faulted, the blades on the unit are very sharp and perfectly angled catching every morsel of food within it, as for cleaning simple water and dish soap and a rinse perfect look like they have just come out of the packaging again, the unit itself yes it is slightly loud but it is a 1500w motor what do you expect with something with that amount of power. smoothies are like cream absolutely perfect minimal bits left if any. in full you would not go wrong with this unit, i umed and arrrd over it for some time wish id just got it straight away, after this something needs to be pretty damm impressive to turn me to other manufactures! Rated 5 out of 5 by Mr Wilks from Full on Ninja I bought this recently and I am pretty much blown away by its quality. 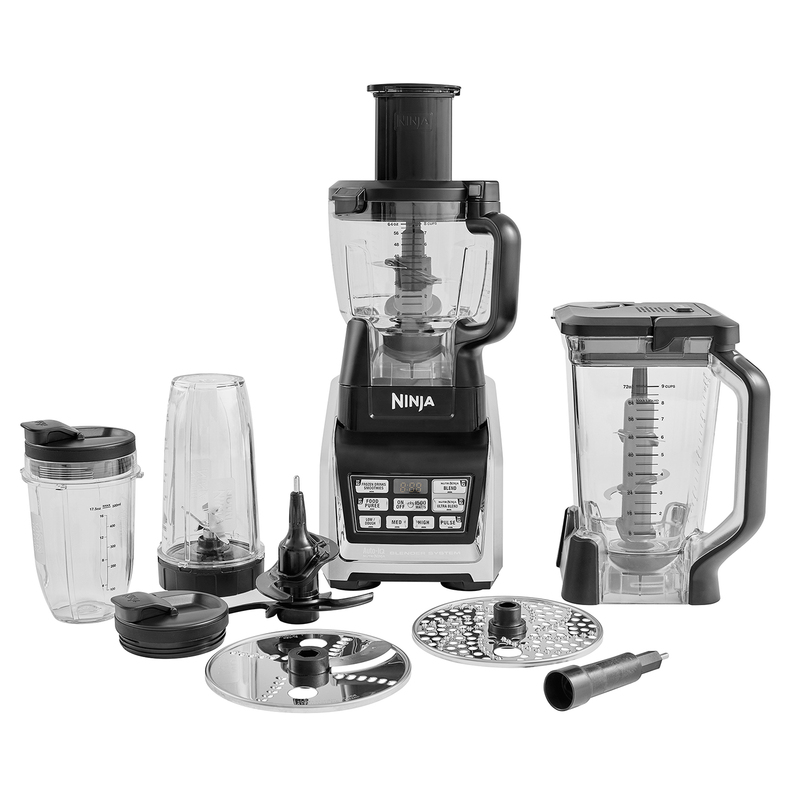 Very sturdy build and seriously sharp blades, more so than any other processor/blender I've had before. The first thing that struck me was how much is in the box. 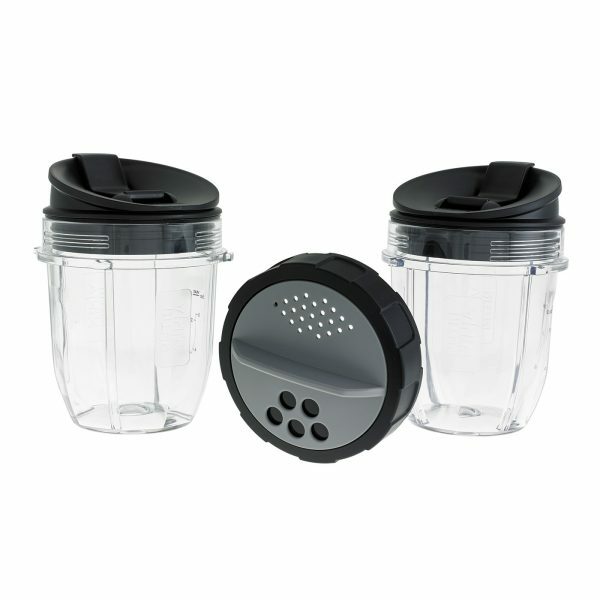 Processor, blender, and two different sized smoothy containers and a variety of accessories. Next was the size of each main piece of equipment and the number of blades in each piece. Two tiers in the processor and three tiers in the blender. All I've done so far is make soup but I grated 2kg of carrots and parsnips in just a couple of munutes and once the soup was ready I blended the equivalent of 20 ladles in only two batches and very little time. 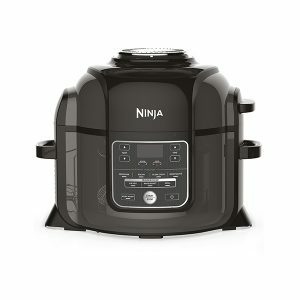 I am more than impressed and would highly recommend the Ninja processor and blender. Rated 5 out of 5 by Nefeli from Very satisfied! I recommended it! Very satisfied! Many uses ! Easy and fast to use! I am using it both for my baby boy to blend his fruits and food and for us when we cook, or make cocktails and frozen coffees. Rated 5 out of 5 by Nafisa from Amazing product I brought this product few weeks back and it's really amazing. All the accessories are amazing as well. Rated 4 out of 5 by Lukas from Good pruduct, little bit loud I bought this product few weeks ago and it’s too early to give a full review/feedback. It’s ok so far but I haven’t tried all components that came with. I have to mention that it’s little bit too loud and it’s vibrating the whole unit due to the axel that spins the blades. Not spinning perfectly straight which cause vibration. Strong motor, high sped. I’ll update my review in few weeks of months and I‘ll honest in the description to help others to make the right decision. I have a friend of mine that had a ninja for 3-4 years and worked fine. I hope mine will last the same. Rated 5 out of 5 by RiRi 15 from Amazing!!! The best blender and processor i have ever owned. So powerful would definitely recommend it will not dissapoint and is relatively cheap compared to some others on the market. I absolutely love it. 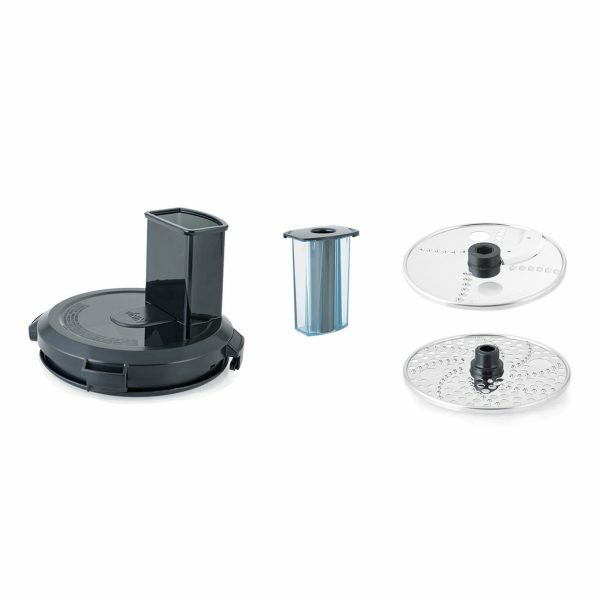 Rated 5 out of 5 by Loso from Smoothie heaven I bought my ninja food system about a month ago to replace one I had inherited from a clear out in our family home. After using the old one for about 4 years, it broke recently and so I decided to invest in something more sturdy and technologically advanced. Like most of the people reading this review, I spent a lot of time researching different brands and different models within this brand. But I think for the price point and what I need it for at this point in my life, this is an excellent choice, with lots of features and great quality accessories. Highly recommended!